CTE is a fatal degenerative disease linked to repeated head blows, and is associated with contact sports such as boxing, football and hockey. Some people with the signs of CTE also show symptoms of a variant of the muscle-weakening disease ALS that causes cognitive impairment. Now, in a study published in Neurology, researchers think they may have found how the two brain diseases might be connected. The study’s lead investigator, Dr. Michael J. Strong, who is the dean of the Schulich School of Medicine & Dentistry at Western, says one of the hallmarks of CTE is a buildup of clumps of a protein called tau. Tau usually props up neurons in the brain, but when it begins to form into clumps, called tau aggregates, it leads to brain cell death. “We have now shown that tau aggregates of those who have CTE and those who have this variant of ALS are the same,” Strong said in a statement Monday. Strong’s team came to their conclusion after studying brain tissue from the U.S. Department of Veterans Affairs-Boston University-Concussion Legacy Foundation Brain Bank. They found there was a uniquely abnormal state of tau in both those who had CTE and those with CTE and ALS. The researchers also used a rat model to demonstrate that head trauma triggers the process of tau clump formation. Dr. Strong says their research provides “a window into the pathway” by which both CTE and the ALS variant occur. He says it also offers an avenue for finding treatments to both conditions. That’s good news for Maria Baier McCauley, whose husband Chris died of ALS in August. McCauley played high-level hockey for more than a decade, first with the London Knights and the Western Mustangs, and later in professional leagues in Europe. He suffered five or six concussions along the way, so when he was diagnosed in 2015 with ALS, he wondered whether his repeated brain injuries played a role. His widow says McCauley would be glad to know that advances are being made into the understanding of ALS and brain trauma. 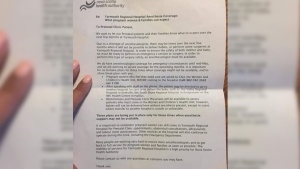 “He would be excited to know that they are making links that that would bring them closer to a treatment, or to prevention,” Baier McCauley told CTV News. She says the Western research “points to the considerable risk to concussions, especially in younger kids” – something she says her husband worried about. “Young brains are vulnerable, and that was a big concern for Chris,” she said. She added she hopes this research helps lend support to the warnings about head blows in hockey and prompts changes to the game. 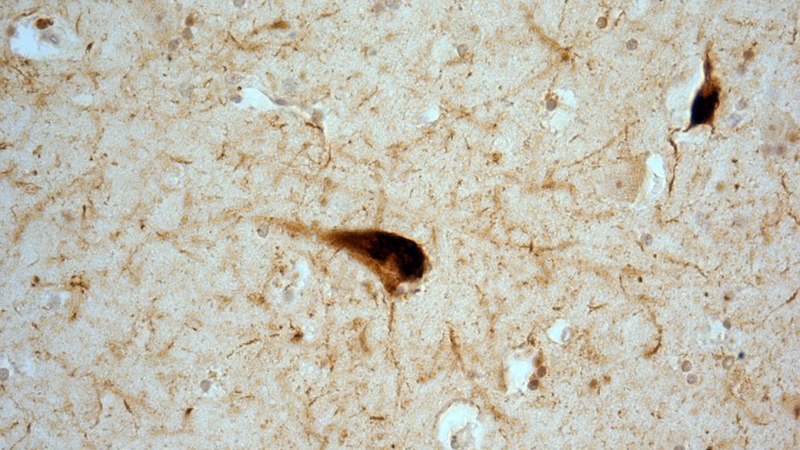 Neurons in the hippocampus showing tau protein clumps in a person who had CTE-ALS. 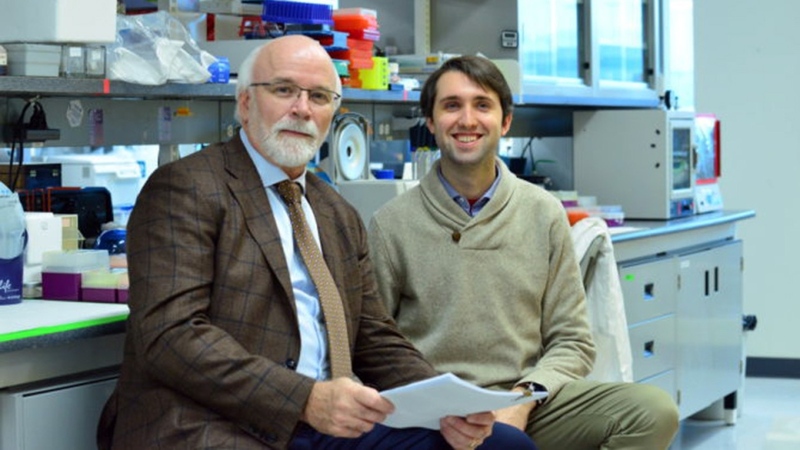 Dr. Michael Strong and Alex Moszczynski, in the lab at Robarts Research Institute at Western University.